A 3D food printer is a deposition printer that deposits layers of raw materials in the process of additive manufacturing. It can combine a powdered material with a liquid to offer a wide variety of foods. Besides, it can prepare your favorite foods fast just with a single touch of a screen. One in 25 adults annually suffers from chewing and swallowing difficulties. They can get rid of their difficulties by consuming the smooth foods of a 3d printer. This technology can improve the condition of patients. This is because it can prepare customized food by taking the health conditions of every patient. In a 3D printer, there is an artificial intelligence to observe that the printing automatically adjusts to different aspects of the printer. This will help the user to get the proper end result. It is an IOT device and you can update its software. 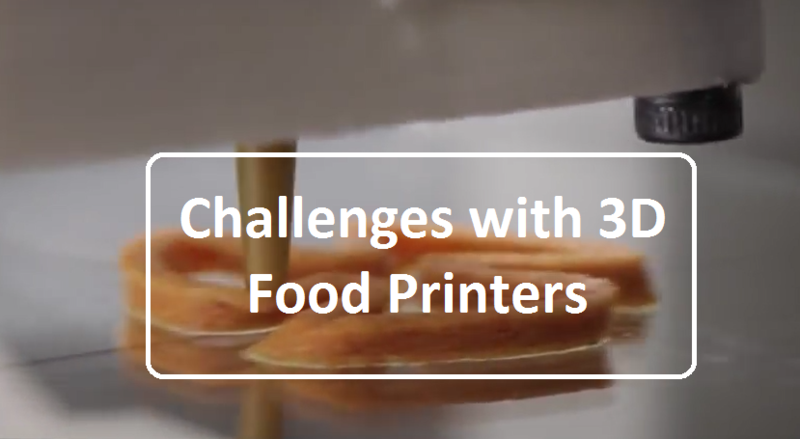 3D food printing is not the fastest means to get your food. It is much faster than handmade food and it can keep customers away from packaged foods. It will help to preserve their health. It is an Android-powered 3D food printer and is in production at present. Through wifi connection, you can choose recipes from Natural Machine’s community site. The printer can accept a maximum of five food capsules at one time. It has nozzles of different sizes for producing different textures. The users can choose shapes of food from the library or can create their own shapes. Foodini can print only a certain kind of foods, such as crackers and some particular shapes of pasta. The smallest nozzle of Foodini can print a texture of 0.5mm which is very hard to do manually. Foodini is now a part of professional kitchens and enterprises, but soon it will become a part of households. Users of Foodini can prepare foodstuffs that are generally found in restaurants. It can also transform an unpleasant food into a mouthwatering food. Therefore, in this way it reduces wastage. Chefs can reduce their menial tasks and can give an attractive presentation of their foodstuffs. The combination of artificial intelligence and big data will facilitate autonomous cooking. It can print a pizza as thick as 12 inches in less than 5 minutes. It connects to a computer to know which ingredients to use. Chef 3D can impart various designs such as the design of a cauliflower to pizzas. It will produce pizza through a chain of pizza stores. There is a mobile app of BeeHex to enable customers to select different shapes and sizes for their pizza. The app will let you know as soon as your food is ready. The taste of a 3D printed pizza will be better than a space food. But it will only taste similar to a handmade pizza if you use proper ingredients. Chef 3D can print cleaner, quicker, more efficient and consistent pizza, and does not involve any artificial ingredient. 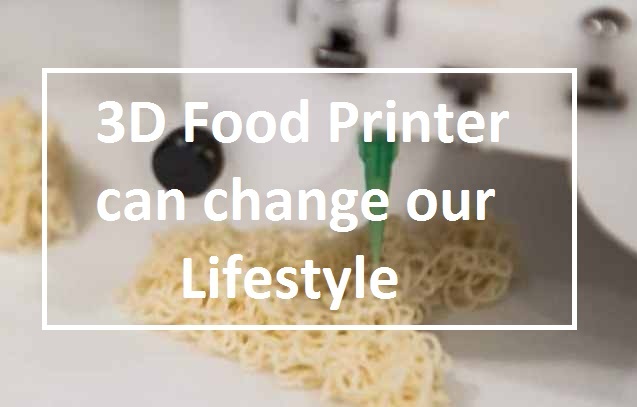 How Can 3D Food Printers Change Your Lifestyle? They can print, cook and serve foods on a large scale, and approach a global market. They convert the essential ingredients in algae, insects or beet leaves into delicious meals. Thereby, they can enhance the nutritional value of every food. 3D food printers save time and effort in producing a meal. They can solve the crisis of food in regions of the world lacking access to fresh and affordable ingredients. They are able to contribute to the increase in food requirement of the world because of population explosion. It is now possible to print sugar candies, complicated chocolate sculpture and make decorations on a cake without any experience. Use of 3D printers reduces fuel consumption and emission. It is easy to store food items since they are not perishable. It does not occupy shelf space and reduces transportation and storage requirements. Renewable and environmentally friendly stores are emerging due to the installation of 3D printers. These printers can deliver foods on the basis of each customer’s preferences. You can specify the exact dosage of drugs, vitamins and the caloric content you want in a particular food. They can bake fresh foods for you, instantly at your demand. Children can create their own 3D shape in their food. Therefore, they will find their food more interesting and will be eager to consume it without any external force. 3D food printers can print food for astronauts in space flights at normal gravity. Hence, there will be no requirement of refrigeration, which consumes a lot of energy. Natural medicines are a creation of 3D food printing. It helps to avoid the cost of packaging and preserving foods. 3D printers can convert only dry and shelf stable ingredients. They cannot deal with protein and dairy products because of the risk of spoilage. From the viewpoint of an engineer, it is difficult to print foods, unlike plastics or metals. If you have to frequently refill print cartridges or clean the ingredient containers and parts of the printer then it is a time-consuming activity. The capital investment and maintenance cost of 3D printers are high. The consumption of energy is high and hence it will be better for small batch production runs. There is a scarcity in the materials for a 3D printer. By considering all the advantages and disadvantages of 3D food printers, we can conclude that they will create a new avenue in our process food consumption. It can ensure the preparation of safe food by eliminating errors in the manufacturing process. Many restaurants are operating with this 3D food printers but still, this is an emerging technology. Therefore, 3D food printer has a huge potential in the food and pharmaceutical industry. It will be affordable for households and small industries if its price is reduced to a great extent.